okay, since sometimes things are not as clear as they seem I'm putting together this thread to help all us silent way new jacks to get our glorious hustle on. so, if you have a dc coupled interface but are confused by the cable issue, this might help. if anything i post is off, let me know. 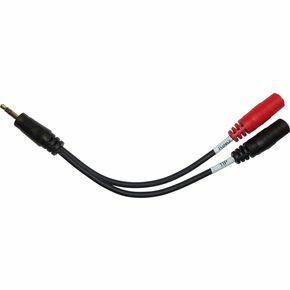 In general special cables are recommended when using a DC-coupled audio interface as a source of CVs. 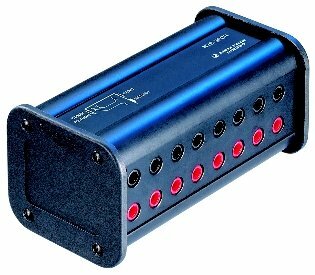 Most audio interfaces have balanced outputs (on TRS ('stereo') jacks or XLRs), while synth CV inputs are unbalanced (usually on TS ('mono') jacks or minijacks). 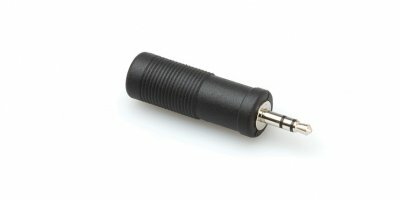 If you use a regular stereo or mono jack lead, you'll be shorting out one of the balanced output signals (usually the R (ring) to the S (shield)). While this probably wouldn't be a problem for normal audio use, when outputting the sustained voltages that are useful as CVs you risk damaging the interface hardware. 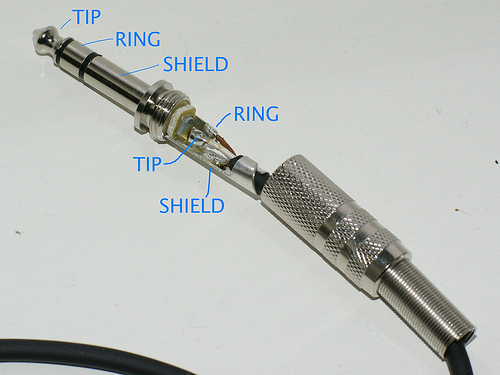 The usual recommendation is to make up special cables with a TRS jack at one end and a TS at the other, connecting T->T (tip to tip) and S->S (shield to shield) while leaving the R (ring) floating i.e. unconnected. An alternative is to wire a TRS jack to two TS jacks, connecting one T->T/S->S and the other R->T/S->S. This then gives you two copies of the output CV, one of them inverted, which is particularly useful from LFOs. Note that this cable configuration is identical to that of a regular "Y" audio insert lead. alex does make these special on request( you need to email him) but as of now(sept 2011..for all you in the future wigglers) he's swamped so it will take a hot minute. coupler also found this solution. Although this box is getting harder to find. if your a crafty sort, you can make your own. okay, that's all i got. Hopefully this helps. if i said something wrong or if you have any additional info, please chime in. I build Silent Way compatible TRS-1/8" cables as well... PM me. I use high-quality Instalux wirestock and premium Neutrik termination. At the moment I am offering black and purple wirestock with black heatshrink over the 1/8" plug, or black wirestock with black Neutrik termination and "carbon-fiber"-look PET sleeve over the length of the cable. Sorry if this seems like spam, I don't mean it that way. Just figured I'd let people know I am making these cables (in addition to regular patch cables). One neato about using an insert cable kind of arrangement is that you get an inverted signal off the ring (as noted above) which can be useful. Neutrik NYS-SSR-8 ($20-$30) - same as the rean thing matos linked to above. Just chiming in to let you all know what I did to make a cheap floating ring patchbay. I had a 48 point deltron TRS patchbay laying around (I think it was less than $50 new) With this patchbay and perhaps many others, I was able to simply pull the guts out of a few pairs in the bay and disconnect the ring wire. Then I just used some 1/4 mono to 1/8 mono adapters with some instrument cables. The 1/4 to 1/8 mono adapters are 2 for $3 shipped on ebay. With only modding 3 stereo pairs I now have as 6 CV outs and the rest are regular TRS for recording or regular patching. Hope to help. Is this thread specifically for OUTPUTTING DC? In other words, will I risk damaging my audio interface if I want to build TS cables for INPUTTING DC? My audio interface (MOTU ultralite mk3) can already output DC. The MOTU interfaces do not have DC-coupled inputs. Very few do (I can't think of any off-hand). I suggest you use Silent Way CV Input, and regular balanced audio cables. One more question: When using special cables to output computer CV, is the output bipolar or is it 0v and up? I'll reply in the other thread you started. I'm running out of DC outs on my interface. 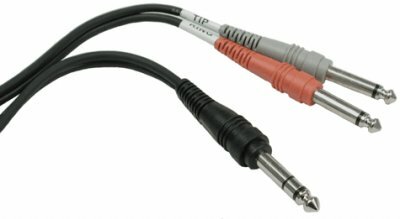 Question: How can the inverted signal be used with the TRS split cables? Can the inverted ring side give me more usable pitch and gate outs? I'm guessing the pitch will be tracking backwards and the gate with be constant on, but can there be a new plugin developed to adjust for this? Also, I assume it's possible and straight forward to run an ES-4 simultaneously with a DC coupled audio card? The inverted signal is only useful for e.g. LFOs where it gives you the opposite phase. It can't be used for extra CV/gate outs. An ES-4 will run alongside the main DC-coupled outs fine (assuming you have S/PDIF out). If the card is a MOTU make sure you read this thread. I want to send from a Motu Ultralite. I don't currently have a snake laying around, but I do have a bunch of 1/4 TRS cables. This will work as well, right? From this thread I gather I could buy the Neutrik/Rean NYS SSR-8, and patch the outputs from my Motu into the input side. I can then plug-in 1/4 to 1/8 STEREO adapters into the black send part of the patchbox and output CV using regular 1/8 to 1/8 Eurorack cables. It will work, but it ignores the "floating ring" advice. ... I thought that was exactly what the NYS SSR-8 did, sent out a S only signal and an inverted signal? Why the hell isn't there just some dude in Europe that makes these cables if even that solution doesn't solve the problem? Sly Goose wants more for the shipping than their cables. Should I just get insert cables instead (something like this: http://robbi-pa.dk/images/thumbnails/850x560/FFFFFF/images/30304762.jp g)? And some stereo convertes 1/4" to 1/8"? I'm actually having some floating ring cables made - expect to have them for sale before the end of the month. Insert cables are a good choice in the meantime. So, insert cables doesn't have the ring problem, is that correct? So if I buy the snake pictured I don't need additional cables, or do I need to buy some eventually like the ones you are having made? Insert cables effectively give you a floating ring. The downside is that you have a spare plug dangling around all the time, and you still need the 1/4" to 3.5mm adaptors. I want! Is this happening? Yes - just waiting on the delivery. Is there a chance that US distributors might some in the future? Sure. I'll certainly post on the forum, if not this thread. Could you take 10 minutes out of your day to e-mail me personally about this? thanks! just kidding. Actually I really need cables to please get them for sale as soon as possible. Hey os, could you give a new ETA? I'd like to wait for your cables rather than buying something else.